Just the name evokes… premium. The magic word in whisky really. 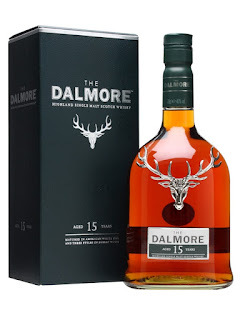 Well, in reality Dalmore is super-premium and ultra-premium. The whisky for the Ferrari driving masses. It makes the people buying it look like they have money and are rather stylish, much like said Ferrari. 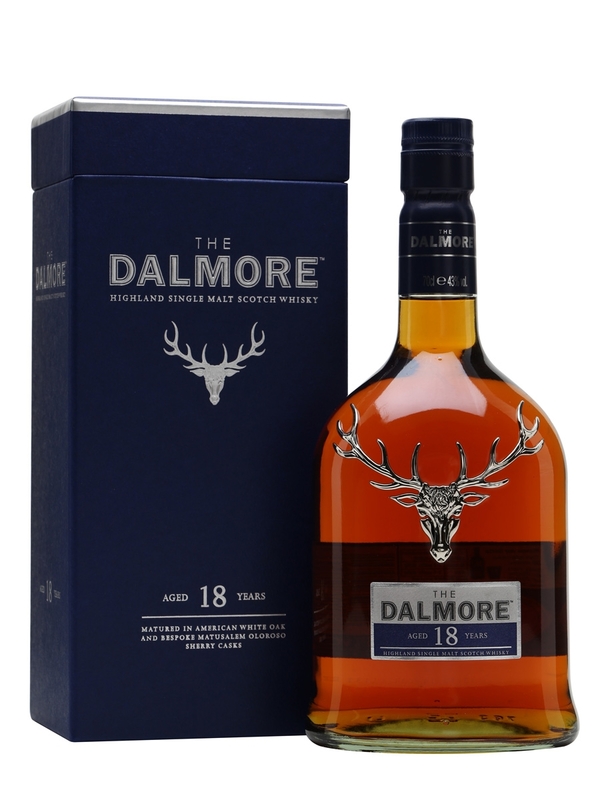 For the whisky enthusiast, Dalmore is a bit of a dirty word. 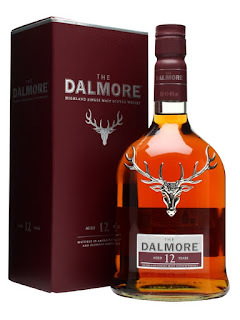 Overpriced and lacking in craft, it’s a brand that has been really trying a bit too hard to be the whisky for the guy with more money than sense (just look at the Constellation collection!). It’s also probably why Macallan went in the same direction. 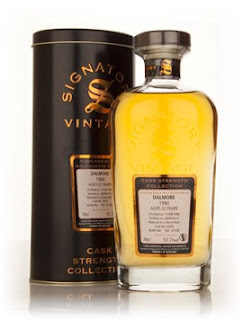 Or did Dalmore follow Macallan...? Nose: Honey and Sherry. Lots of chocolate orange. Taste: Sherry and vanilla, oranges and dark chocolate. Chocolate orange. Finish: Short length. Gentle with sweetness and caramel. Nose: Sweet, honey, caramel, sherry, light pastry/biscuit note, stewed fruit- Apple, blackcurrant and plum, vanilla, some spice. Very Dalmore. Taste: Initial sherry and honey sweetness then building dry spice with oak. Cinnamon bark. Less fruity than the nose- Apple and blackcurrant crumble. Finish: Medium length. Woody, oaky and spicy. Notes: More oaky and dry but less bitter than the 18. Same score though. Nose: Fruity with port, blueberry, tonnes of fruit and creaminess. Taste: Similar to the nose. Lacking in mouthfeel. Blueberry, blackberry, plum. Quite bitter, especially into the finish. Finish: Short/Medium length. Very bitter with lots of plum. A natural one to finish, please! Nose: Strong alcohol. Yeasty and malty. Rising bread, warm dough, lemony citrus, raspberry vodka, floral- Buttercups, orange chocolate, chocolate biscuit and herbal fruit tea. Water: More lemon and citrus, some lime developing, clotted cream, cream tea (Raspberry jam, scones and cream), lemon drizzle cake, lemon fancies. All sorts of lemony, cakey, tarty things! Taste: Sherry, sweet fruit, orange marmalade, lemon sherbet, a biscuity note. Water: Orange peel, brown sugar, lots of dark chocolate, raspberry, a little blackberry, cream, Creme Brulee, vanilla, lemon curd. Finish: Very Short length. Gone, it's just gone! With water the finish becomes a short length. Doughy with some lingering sweetness and coffee. Notes: Distilled 1990, bottled 2012. 22yo from a refill Sherry cask. Multiple refill I think. Bit of time, bit of water and this opens up nicely.